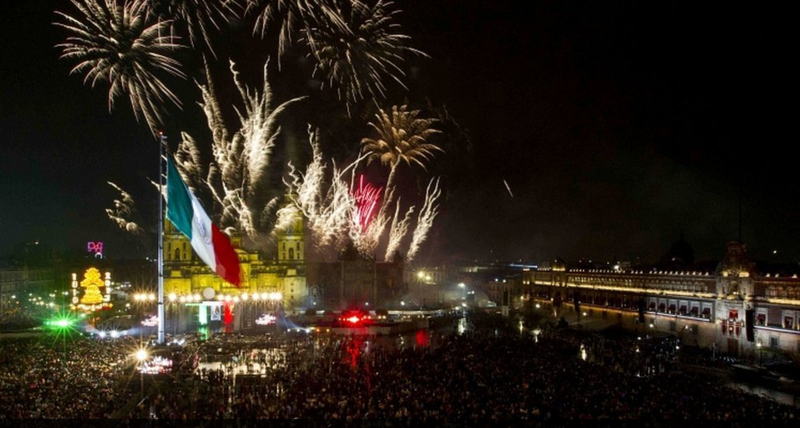 New Year’s celebrations in Mexico surpass those of Christmas, Easter and sometimes even their famous ‘Day of The Dead’. Much like the rest of the world, Mexicans gather together with their loved ones to welcome in the upcoming year. However, the mixture of cultures throughout this vibrant country has resulted in an unusual collection of traditional, new, funny and downright bizarre rituals and celebrations. So without further ado, let’s dive into the wacky world of Mexican New Year. The first thing that Mexicans will do in preparation for the New Year is to thoroughly clean their house from top to bottom. They will clean every object in their home, then sweep all of the dirt out of the front door. This act symbolises the expulsion of all the bad energy from the previous year. The owner of the house will then place lentils around the door in a hope to attract abundance and wealth in the upcoming year. It’s very common for people to buy brand new clothes to wear on this special occasion, and the colour of the garments plays a very important role. Wearing white it very popular, as it is said to ward off illness and attract good health in the coming year. Choosing your underwear carefully on this day is also a must! People who wish to attract love in the New Year will wear red underwear, the colour of passion and romance. On the other hand, people who wish to have good fortune and wealth in the upcoming year will wear bright yellow underwear, the colour of abundance. As the evening approaches and the sun begins to set, Mexicans will walk around the house, making sure to turn on every single light in the house. This is to ensure that their family will have prosperity and success radiation throughout their lives in the New Year. The last part of the preparation for New Years, is to set the table for the lovingly cooked late night feast. The expensive table cloth is draped across the table, the best crystal glasses are carefully placed next to the glittering silverware and luxurious dishes, and then the centrepiece is made up of flowers and candles. Colour also plays a big part in the candle selection, as each colour represents the attraction of something unique for the coming year. Along with the customary hugs and kisses as the clock strikes 12, Mexicans also have a few quirky little rituals they perform at that ever important hour… For example, It’s customary to ring a very loud bell 12 times, and on each strike to eat a grape and make a wish. The 12 rings, grapes and wishes represent the 12 months of the New Year. There are, however, some more bizarre traditions that only the most traditional of Mexicans will perform. • Throwing a glass of water out into the street represents renewal and the expulsion of all the tears and heartbreak from the previous year. • Placing a coin in your shoe, or a lottery ticket in your pocket at the clock strikes 12 is said to bring money and wealth into your life in the upcoming year. • Tying a red ribbon around a picture of your crush, and sleeping with it under your pillow on New Year’s Eve, is supposed to make them fall in love with you. • Dragging an empty suitcase around the block is supposed to represent an exciting trip you will take in the New Year. The longer the walk, the longer your trip will be. • If someone wishes to get married in the upcoming year, they will stand and sit 12 times as the loud bell is sounding at midnight. • Standing on a high chair as the clock strikes 12 is supposed to attract a promotion at work in the New Year. So there you have it, grapes, coloured underwear, lentils and taking an empty suitcase for a walk are all part of the fascinating traditions of a typical Mexican New Year. 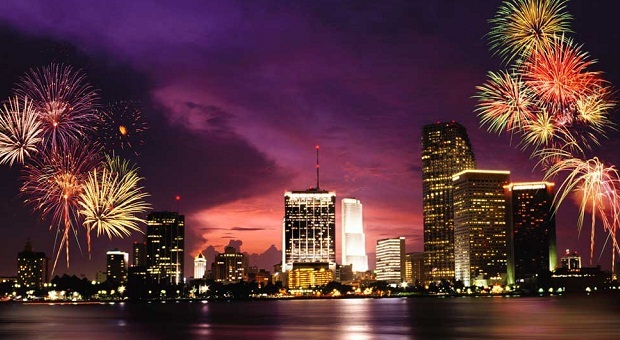 Mexico is definitely a top destination to watch the fireworks. Mexico has a lot of cultural and historical activities to offer. Chimu Adventures offers tours to the highlights of Mexico as well as tailor made packages to Central America. Contact us for more information.